The first of these two papers concentrated on the muscles moving the eyes and their mechanics.1 The purpose of this second paper is to give an outline of the physiology of the brain’s control of eye movements as an outstanding example of a biological computerised control system. As such, we shall consider the system’s software, i.e. the information determining its behaviour and performance, rather than its ‘hardware’, the latter being beyond the scope of a paper such as this; and so little attention will be given to neuroanatomy, although in the clinical setting, a knowledge of it is essential. While failure of any of the twelve extraocular muscles can seriously impair the overall performance of the visual system, built into the brain’s circuitry is a remarkable ability to adapt to such defects. The macroevolution hypothesis offers no rational explanation for the origin of the software of the ocular motility system. A glossary of terms is appended at the end of the paper. Table 1. Some of the differences between the oculorotator muscles (ORMs) and ordinary skeletal muscle. Motor neurons innervating muscles each supply a group of muscle fibres, called a motor unit. In the case of the ORMs, the motor units are very small (about 10–20 muscle fibres per neuron) compared with those of ordinary skeletal muscle (100–2000 fibres).4,5 Small motor units enable contraction of a muscle in small increments as they are recruited. The motor neurons to the ORMs transmit action potentials of higher frequency and shorter duration than do those to ordinary skeletal muscle. To rotate an eye rapidly the motor neurons of the contracting muscles deliver a synchronous burst (pulse or phasic) discharge of high frequency (> 600 Hz) voltage spikes; this overcomes passive elastic and viscous forces within the orbit which tend to return the globe to the primary position (PP), i.e. looking directly ahead (see glossary).6,7 The globe is then held in its new position by a lower frequency steady tonic (sustained) discharge, the level of which is linearly correlated with the eye position, e.g. about 100 Hz in the PP. In other words, the tonic neural discharges in the PP are intermediate in frequency (cf. Table 1) which increases in the contracting muscle(s) as the eye rotates away from the PP and decreases in the opposing muscle(s), known as the antagonist(s). Normally the ORMs never become slack but constantly exert between them balanced tensions. There is always measurable electrical activity (except during a pause phase) in an ORM even when fully relaxed. By contrast with the above, limb muscle burst frequencies rarely exceed 125 Hz and sustained levels 50 Hz. During steady gaze and slow pursuit (tracking) movements the neural impulses have to be asynchronous to produce sustained steady tension within the muscle as a whole as individual motor units contract with each impulse and then relax. Any tendency toward synchrony of discharge will impair the steadiness of pull and cause the muscle to vibrate (termed myokymia (Gk myo–, muscle + kyma, wave); this may be an element in some cases of nystagmus (oscillatory movements of the globes)). There is no evidence that any information from these receptors ever reaches consciousness.12 We know this from a number of simple experiments. If one presses one’s eye from the side, the environment appears to move. This shows that ORM proprioception does not cancel the perception of motion produced by movement of the image across the retina. Again, if the globe is moved passively in darkness by an observer using forceps grasping the conjunctiva (see glossary), the subject will be unable to identify the position of his eye. Thus, stretching or moving the subject’s ORMs does not tell him which way the eye has been moved, i.e. the ORM proprioceptors do not mediate conscious eye position sense. On the other hand, if we voluntarily move our eyes in darkness or with the eyes closed we know which way they have moved. If we move our eyes in the normal way in lit surroundings, why is it that the environment does not appear to move even though its image sweeps across the retina. Evidently the brain disregards the movement of the retinal image so that no movement is perceived during eye movements. From these and similar experiments we gather that whenever the brain issues a command for the eyes to move, it also notifies the visual movement perception areas in the brain of the event. This is known as an efference copy (Latin effero, to bring out, i.e. outflow) of the motor command. Thus visual movement perception is momentarily suspended for the period during which the eyes are rotating. Figure 1. The visual effect of a prism. Bending of light rays by the prism displaces the retinal image. So, what function might these proprioceptors have? One possibility is that they contribute to the visual system’s remarkable ability to adapt to long term changes. To adapt, there has to be a recalibration of the response of ORMs to neural stimulation in order to achieve accurate fixation (directing the line of sight or visual axis towards an object). The importance of this is at once evident when an ORM is weakened by injury or disease. In the first few weeks at least, the patient experiences not only double vision (see first paper1) but often also a feeling of disorientation or giddiness. These feelings represent a false perception of movement of the environment. They arise because the weakened muscle fails to respond to the usual level of neural stimulation. As a result, the retinal image does not move as far as the brain anticipates from the information encoded in the efference copy when the command to turn the eyes is given. This reduced movement of the retinal image is then interpreted as external movement in the direction of the weakened muscle’s action. The confusion is heightened by conflicting information from the vestibular apparatus (organ of balance) which has registered no lurch in the surroundings! Moreover, the subject, if asked to point (with the good eye covered) at an object in the direction of the weakened muscle’s action, will point beyond the object (known as past pointing). The miscalculation occurs because of the excessive neural effort required to turn the eye toward the object. Another probable crucial role of the ORM proprioceptors, related to the above, is to do with the development of the visual system which extends over the first decade of life. In effect the child is ‘learning to see’ during that period and again the innervation of the ORMs has to be finely calibrated for normal vision to develop. Failure or absence of muscle proprioception early in life may well contribute to a range of motility disorders such as squint, unstable fixation (unsteadiness of gaze) and nystagmus etc. Our visual system is also, to a degree, able to adapt to displacement of the retinal image by optical devices. If a prism is interposed in the visual axis (line of sight) before one eye, light rays entering the eye are deviated (Fig. 1). At first the subject momentarily experiences double vision. To compensate for this the eye quickly rotates to recentre the object’s image on the fovea (see below). Spectacle lenses act as prisms for eccentric light rays. With weak lenses this effect is negligible but with stronger lenses it becomes significant (Fig. 2). Thus, given time initially, someone wearing strong spectacles and looking to one side through the peripheries of their lenses can adapt. Moreover, the visual system comes to achieve this for each direction of gaze with no conscious effort on the part of the subject! There are, of course, limits to one’s ability to adapt, especially when the two eyes are optically different. Why do we move our eyes? Our retinas have at their centre a small specialised receptive area, called the fovea, where visual resolution is at its highest because the photoreceptors are tightly packed together and most numerous. We use the fovea when we look at something directly; i.e. the line of sight or visual axis passes through it. To study an object in detail we therefore have to turn our eyes toward it so that its image falls on the fovea. There are many creatures whose retinas have no fovea, such as the rabbit, and so their ocular movements are less complex than ours. Figure 2. The prismatic effect of a lens with eccentric rays. Only rays passing through the optical centre of the lens are not deviated. Fast rotations, called saccades—voluntary or reflex. Slow rotations (smooth pursuit or tracking)—voluntary or reflex. Vestibulo-ocular reflexes—compensating for head movements. Vergence—convergence and divergence for binocular single vision. Saccades have a latency period, i.e. the time from the appearance of a target to the onset of the saccade, of about 200 ms; this period may be shorter if the first target is extinguished several milliseconds before the appearance of a second target, and longer if the first target remains on. The accuracy of saccades in redirecting the visual axis is normally good, being well within 10% of the required angle of rotation. There is a tendency to undershoot slightly which prompts a small corrective saccade with a shorter latency period. As Sharpe explains,19 this tendency to undershoot rather than overshoot is ‘probably not just blunder on the part of the saccadic system’ but for the sake of efficiency. A corrective saccade in the same direction as the first can be generated with a shorter latency period than can one in the opposite. During sleep there are periods of increased cerebral and ocular motor activity in which dreaming with rapid eye movements occur. They have been observed prenatally and continue throughout life. They appear to be saccadic though slower than those in awake subjects. Their function remains unknown as does that of sleep generally. Figure 3. Chain of command for burst and tonic neurons and their patterns of discharge. Arrow heads indicate excitatory influence and ball heads inhibitory. For a time it was thought that once a saccade had been initiated, visual information could not be used until the movement had been completed. Since the 1970s, however, researchers have found that under certain conditions, saccades can occur with almost no interval between them. When a target is briefly flashed on the fovea during a saccade, a second saccade is produced which turns the eye toward the new target position even though the target is no longer visible. Thus the brain’s saccadic system appears capable of dual simultaneous processing. Saccades are driven by the neural discharges of burst (pulse) generators which are relatively localised clusters (termed nuclei) of neuron cell bodies in the brainstem (see glossary). The burst generators respond to signals from higher centres in the brain. Such signals are carried by sequences or networks of interacting neurons which function as electronic switches and which represent a hierarchy of control. In the burst generators there are both excitatory and inhibitory neurons; these respectively activate the motor neurons to muscle(s) that are to contract and inhibit those to the antagonist muscle(s). The burst generators are in turn held in a state of inhibition by pause neurons which exert tonic inhibition (i.e. they discharge continuously) until signalled by higher centres. When the signal arrives, selected pause neurons, the selection depending on the direction of the saccade, are switched off to allow a burst to occur. The reason for such a complicated arrangement is probably that it is more stable and less prone to generating unwanted saccades (Fig. 3).20 It goes without saying that for the saccade to rotate the eye accurately toward the target, the burst driving it has to be of precisely specified frequency and duration; just how the brain makes this calculation remains unknown. As mentioned earlier, tonic (sustained) innervation is required to hold the globe in any given position of gaze after a movement has occurred. This is sustained with the help of neural networks in the brainstem called neural integrators (NI), whose output activates tonic neurons during fixation (see glossary).20,21 The details of how these devices work are not known but they are so called because they compute by a process akin to mathematical integration. They calculate from the preceding burst signals what level of tonic innervation is needed to maintain the globe in its new orientation. However, studies of normal subjects in darkness have shown that after turning the eyes away from the PP, they do slowly drift back because of the mechanical elastic forces in the orbit. For this reason the NIs are said to be ‘leaky’ and the return drift occurs with a velocity which declines exponentially. Its rate is expressed as a time constant: the time taken for the ocular deviation away from the PP to fall to 37% of its initial value.22 In a normal subject in darkness the time constant is about 25 s. which is nevertheless considerably longer than the purely mechanical time constant (60 ms). In lit surroundings, visual feedback is coupled with the output of the NI to prevent the above-mentioned return drifts. When a NI is damaged, the patient, even in the light, is unable to maintain eccentric gaze without frequent corrective saccades. When a target is moving, the saccadic system can initially capture it but soon loses it as the image tends to slide off the fovea (termed retinal slip), necessitating another saccade. The smooth pursuit (SP) system overcomes this deficiency by enabling a target to be tracked smoothly rather than with a series of jerks, thereby keeping its image steadily centred on the fovea. To prevent blurring, movement of the retinal image has to be kept less than 5º/s. For the SP system to be effective, the target’s velocity has to be relatively slow, i.e. less than about 50º/s. If the target moves too fast for SP, the saccadic system is activated to recapture it. The latency period for a pursuit movement is usually 100–130 ms. SP can be elicited in newborns but only with large targets because development of the fovea is not complete until the age of 3 years or so. SP can be generated not only by actual movement of a target but it can also be induced by falsely perceived (illusory) motion. This may happen, e.g. when a subject is asked to pursue the imaginary centre of a rolling wheel. Figure 4. Counter-rotation of the globes and the vestibulo-ocular reflexes. As the head is turned to the right, the eyes swivel to the left to maintain fixation. When travelling in a train or car our eyes tend to follow (SP) an oncoming object until it passes and then our gaze shifts quickly (saccade) forwards again to another object. This sequence of alternating SP and saccadic movements is called optokinetic nystagmus. It becomes irresistible and involuntary when a subject is surrounded by a rotating drum whose internal surface is painted with alternate black and white vertical strips occupying his full visual field. As an objective method of demonstrating a subject’s capacity to see, this device can be used to expose feigned total blindness! While SP stabilises the image of a moving target on the fovea, another system is needed to stabilise fixation of a stationary target during head movements. This is the function of the VORs; they compensate each sudden movement of the head with an equal and opposite movement of the eyes to maintain fixation on the distant object (Fig. 4). Consistent with this function, the latency period of the VORs is extremely short (10 ms), compared with that of saccades (200 ms). This system is emulated by the gun suspension of modern tanks which ensures that the gun is kept constantly directed toward a target as the tank moves over uneven terrain. Because of our VORs we have little trouble seeing a distant object clearly while travelling along a bumpy road or even when simply walking. Without them this would be impossible. The importance of this mechanism to everyday life was vividly described by a physician whose inner ear had been severely damaged by excessive streptomycin therapy.29 He could read in bed only by bracing his head against the headboard; otherwise the printed page jumped with each heartbeat. When walking he was unable to recognise faces or read signs unless he stood still. We experience what it must be like for those afflicted in this way when watching a movie shot from a vehicle being jolted by a bad road; viewers of the movie, unlike those doing the shooting, are not assisted by their VORs so that their gaze is constantly having to jump about to recapture the target with a succession of saccades. The main sensor of head movements and position is the vestibular apparatus (VA) which is part of the inner ear. Like the eyeball, the inner ear is a wonder of microengineering and comprises the duct of the cochlea (for hearing) and the vestibular apparatus (for balance sense). The two together form the membranous labyrinth, a closed system of communicating tubules and cavities containing fluid (endolymph). They occupy a bony labyrinth of cavities within a three-sided pyramidal block of the densest bone in the body, called the petrous (Latin petra, rock) temporal bone (see Fig. 5);30 in conjunction with the oculorotators and the brain, the VAs function like the gimbals of a compass, enabling the eye to maintain fixation. Figure 5. The Membranous Labyrinth. Figure 6. The disposition of the semicircular canals (not to scale). However, there are occasions when the VORs are unhelpful. Normally, when looking away toward some peripheral object we turn the head as well as the eyes, unless acting furtively! A saccade or SP movement occurs first, followed about 20–50 ms later by the head turn. But the latter will activate a VOR which causes an eye movement whose direction will be the opposite of that of the first movement. The brain therefore ignores (‘cancels’) this sensory input from the VAs. The VORs are most effective for brief or high frequency head movements, but less so for sustained motion or low frequency head rotation.33 For the latter situations, the SP system takes over. Once constant velocity is reached the VA signal decays as movement of the endolymph ceases and the hair cell appendages return to their initial positions even though head motion continues. These are eye movements that enable us to view objects with both eyes together at varying distances, converging the visual axes for nearer objects and diverging for more distant ones. As explained in my first paper,35 it is essential for both visual axes always to be directed toward the same target to prevent diplopia (double vision) and to permit stereopsis (depth perception—see glossary). Fixation of a near object induces the ocular near reaction which has three components linked in the brain, namely convergence of the eyes, accommodation (changing the eye’s focal length to focus on a near object) and constriction of the pupil for greater depth of focus. The stimulus for vergence movements may be either diplopia, caused by images of the target falling on non-corresponding points (see glossary) of the two retinas (Fig. 7), or by blurring of the retinal image. Diplopia elicits fusional vergence and blurring accommodative convergence. Some people are able to converge their eyes voluntarily. Vergence movements are slower than the other types of movement, with velocities up to 20Âº/s and latencies of about 160 ms. Unique to this system is its ability to generate movements of one eye only: if one eye in the PP fixates a target, say at distance of 1 meter, which is then slowly moved towards the subject, the other eye will converge while the first eye remains stationary. The human brain has been said to be the most highly organised and complex structure in the universe. In none of its activities is this better illustrated than in the control of eye movements. It has taken many decades of painstaking research to discover what we now know. While the general organisation of eye movement control is clear, a vast host of details with countless refinements have yet to be unravelled. The system as a whole with its subsystems, parallels exactly man-made computerised control systems, only the former excels by far over the latter in its performance, its miniaturisation, its adaptablilty and its tremendous robustness. In normal health, one does not experience eye fatigue or visual failure despite the execution of 170,000 saccades in the course of an ordinary day. Figure 7. Fusional convergence with a prism. Bending of light rays by the prism displaces the retinal image, causing the right eye to converge to recentre the image on the fovea. As a biological computer, the brain’s anatomy with its 100 billion neurons and their myriad connections vastly exceeds the hardware of a man-made computer. The brain’s software is the information built into its anatomy, both for its development and for its operation. Many of its activities are programmed, including a large capacity to adapt to malfunction (rather than crashing). For example, if part of the brain is damaged it can often, given time, establish new connections to circumvent the original deficit. Again, the brain is able to compensate to a degree for damage to the eye, ear or the EOMs. Just as the software for man-made computers is always the product of intellectual effort, how much more must this be true of the brain’s software also! Upgrading of software can only come about by the intellectual effort of an intelligence to add to the information already present. Yet, in essence, the macroevolution postulate expects us to believe that the ‘upgrading’ of biological software required for each supposed step up the evolutionary scale occurred spontaneously and without intellectual effort. The postulate offers no rational explanation to support this notion and what it postulates has yet to be reproduced experimentally. The hierarchical organisation of eye movement control in man is such that it has a foundation of reflex mechanisms which may be overridden or suppressed, voluntarily or unconsciously; these include the VORs and optokinetic nystagmus and others, not discussed above, which may be ‘unmasked’ through disease or injury. However, they are not to be thought of as ‘primitive’ just because they are found in lowly creatures or ‘vestigial’ because they have no apparent usefulness. Rather, they are examples of design economy36 with functions which, in some cases, still await discovery. One authority in the field of eye movement neurology has applied the phrase conjoined evolution to the geometric configuration of the semicircular canals and their connections via the brain with specific ORMs.37 But this phrase glosses over a huge assumption, namely that the supposed evolution of such specialised and complex structures, such as the VAs, ORMs and the brain, has been synchronised without any coordinating influence. The entire ocular motility system with all its interacting specialised components and its elegant coherence, leads to the inescapable conclusion that it is not the product of a ‘blind watchmaker’ but meticulously designed by the Creator. Brainstem — the lower part of the brain below the two hemispheres, including the cerebellum. Conjugate — (adjective) rotation of both eyes in unison in same direction. Conjunctiva — the surface membrane covering the white of the eyes as well as the inside of the eyelids. Disconjugate — (adjective) rotation of both eyes in different directions. Corresponding points — pairs of points—one in each retina—which, when stimulated simultaneously by the same image, give rise to a single mental image (see ref. 1). Latency period — the time from the appearance of a target to the onset of the eye movement. Fixation — orientation of the visual axis toward a target, i.e. to look directly at it. Fovea — the small specialised receptive area at the centre of the retina, through which passes the visual axis (q.v. ), and where visual resolution is at its highest because the photoreceptors are tightly packed together and most numerous. Fusion (sensory) — the ability to perceive two similar images—one in each eye—as one. Nystagmus — rhythmic oscillatory eye movements (Greek nystagmos, a nodding). Primary position — the term used for the position of the globe (eyeball) when looking directly ahead with the head held erect. Secondary positions are those which are directly up, down, in or out while any oblique position is termed tertiary. Proprioceptor — sensor/receptor detecting changes within the body such as muscle length or tension or joint position. Reflex — an involuntary response to a stimulus. Stereopsis — the perception of depth or distance by the fusing in the brain of two slightly disparate images (one in each eye) of the same object. Torsion — rolling or rotation of the globe about the anteroposterior axis; by convention intorsion means torsion that causes the 12 o’clock radius of the cornea to rotate towards the nose and extorsion the opposite. Version — (noun) rotation of both eyes in unison; prefixes specify the direction of version: dextro- meaning to the right; laevo- meaning to the left etc. Visual axis — the line of sight, passing through the fovea of the retina. Gurney, P.W.V., Our eye movements and their control: part 1, TJ 16(3):111–115, 2002. Porter, J.D. and Baker, R.S., Anatomy and embryology of the ocular motor system; in: Miller, N.R. and Newman, N.J. (Eds), Walsh & Hoyt’s Clinical Neuro-Ophthalmology, 5th Ed., Williams & Wilkins, Baltimore, vol. 1, ch. 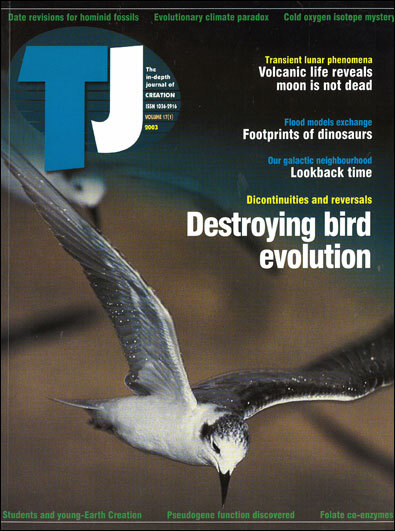 25, p. 1047, 1998. Porter, J.D., Baker, R.S., Ragusa, R.J. and Brueckner, J.K., Extraocular muscles: basic and clinical aspects of structure and function, Surv. Ophthalmol. 39: 451–484, 1995. Wylie, W.D. and Churchill-Davidson, H.C., A Practice of Anaesthesia, 2nd Ed., Lloyd-Luke, London, p. 691, 1966. Porter and Baker, Ref. 2, p.1049. Porter et al., Ref. 3, p. 453. Sharpe, J.A., Neural control of ocular motor systems; in: Miller, N.R. and Newman, N.J. (Eds), Walsh & Hoyt’s Clinical Neuro-Ophthalmology, 5th Ed., Williams & Wilkins, Baltimore, vol. 1, ch. 26, p. 1103, 1998. Porter et al., Ref. 3, p. 466. Porter and Baker, Ref. 2, p. 1048; Porter et al., Ref. 3. Porter and Baker, Ref. 2, pp. 1050–1051. Porter et al., Ref. 3, pp. 470–472. Porter and Baker, Ref. 2, p. 1051; Porter et al., Ref. 3. Porter and Baker, Ref. 2, p. 1049; Porter et al., Ref. 3. Sharpe, Ref. 7, p. 1102. Sharpe, Ref. 7, pp. 1103–1114. Moschovakis, A.K., The neural integrators of the mammalian saccadic system, Frontiers in Bioscience 2:552–577, 1997. Leigh, R.J. and Zee, D., The Neurology of Eye Movements, F.A. Davis Company, Philadelphia, p. 47, 1983. These are an area of the frontal cerebral cortex, the occipital (visual) cortex and the superior colliculus (SC). The SC is located in the midbrain (part of the brainstem—see glossary) and is part of the accessory (unconscious) visual system. Sharpe, Ref. 7, p. 1107. Leigh and Zee, Ref. 17, p. 48. Leigh and Zee, Ref. 17, p. 91. Sharpe, Ref. 7, p. 1122. Chen, Y., Kristijanson, A., Holzman, P., and Nakayama, K., Accurate smooth pursuit requires both visual and cognitive attention, 11th European Conference on Eye Movements, Turku, Finland, August, 2001. Schmid A.M., Barnes G.R., Rees G. and Frith C., A functional magnetic resonance imaging study of anticipation and learning in smooth pursuit eye movements, J. Physiology 527P:139, 2000. The velocity here referred to is angular, i.e. for the eye the angle of rotation and for the target the angle subtended at the eye’s centre of rotation by the distance travelled. Churchland, A.K., and Lisberger S.G., Gain control in human smooth-pursuit eye movements, J Neurophysiol. 87:2936–2945, 2002. Sharpe, Ref. 7, p. 1137. JC, Living without a balancing mechanism, N. Engl. J. Med. 246:458, 1952. Cited in Ref. 21, p.12. Last, R.J., Anatomy, Regional and Applied, 2nd Edition, J. & A. Churchill, London, pp. 590–596, 1959. Leigh and Zee, Ref. 17, p. 18–19. Harding, R.M. and Mills, F.J., Aviation medicine: function of the special senses in flight, Br. Med. J. 286:1728–1731, 1983. Sharpe, Ref. 7, p. 1139. Sharpe, Ref. 7, pp. 1133–1136. Gurney, Ref. 1, p. 111. Batten, D. (Ed. ), The Answers Book [now The Creation Answers Book], Answers in Genesis, Brisbane, ch. 7, 1999. Leigh and Zee, Ref. 17, p.8. Peter W.V. Gurney qualified in medicine at the University of Bristol, England in 1960. He spent nearly six years as a medical missionary working amongst Muslims in Pakistan, Aden, Ethiopia and Eritrea before returning to the UK to specialise in ophthalmology and completed his training at Moorfields Eye Hospital, London. He is a fellow of the Royal Colleges of Surgeons and of Ophthalmologists, and has practised as a consultant ophthalmologist in the West Midlands since 1980, retiring from full-time service in 1998. Return to top.